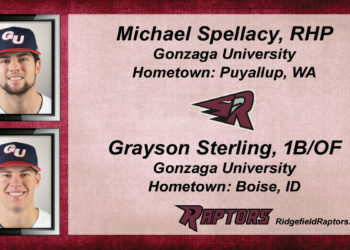 The Ridgefield Raptors are happy to announce the addition of Gonzaga University sophomore Michael Spellacy and freshman Grayson Sterling to the 2019 roster. 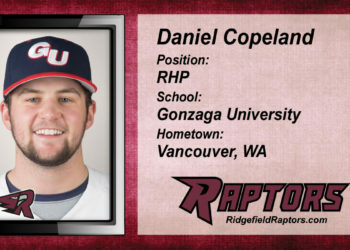 Join us in welcoming Gonzaga RHP Daniel Copeland to the 2019 Raptors roster! 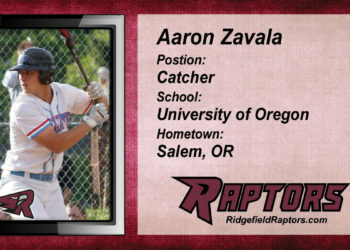 The Ridgefield Raptors sign University of Oregon catcher Aaron Zavala. 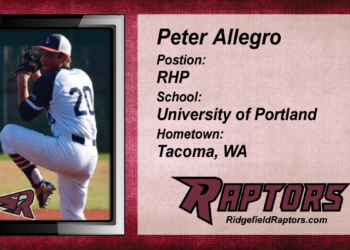 University of Portland pitcher signed to Ridgefield Raptors. 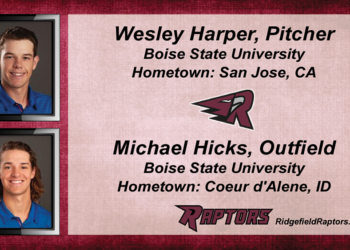 The Ridgefield Raptors are happy to announce the signing of Boise State players Wesley Harper and Michael Hicks. 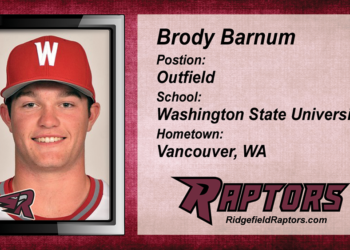 The Ridgefield Raptors are happy to announce the signing of Washington State University Sophomore Brody Barnum. Barnum is a talented outfielder who hits for power and will excite our fans. 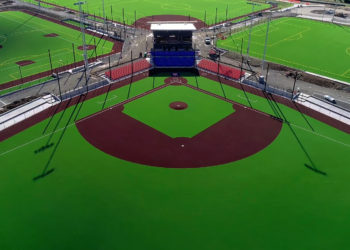 Ridgefield Raptors Announced as Team Name! The unveiling of the Ridgefield Raptors was made at the “Experience Ridgefield” event at the Ridgefield Recreation Outdoor Complex Grand Opening on September 8th, 2018. 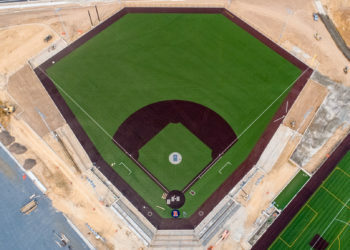 The Ridgefield based West Coast League team is pleased to announce that Chris Cota, head coach of College of the Canyons, has been hired as the first skipper in the team’s history.